This is a guest article by Grace Windsor from BrightWork. Have you ever delivered a project on time and within budget only to discover that your client is unhappy with the final result? This often stems from mismatched expectations, and is quite unpleasant for both parties. I still remember feeling deflated and frustrated following a particularly difficult meeting with a client who made it very clear that the project was not delivering as expected. This came out of the blue, as everything seemed to be progressing according to plan. However, the project was simply moving too slowly for my client, who operated in a very fast-paced industry. They didn’t really believe our initial timelines; we assumed that they were happy with our progress. Managing expectations is a vital skill for any project manager. An expectation is defined as ‘a strong belief that something will happen’ based on our assumptions and previous experiences. We are creatures of habit and expect certain things to perform in particular ways, for example, our car will start in the morning or our favourite coffee shop will always get an order just right. We form our own expectations of others, and likewise, we are subject to the expectations of those around us. Of course, life never goes according to plan, making expectations a little troublesome! Reduced trust between you, your team, and the client. It’s critical to manage expectations from the outset of the project and throughout project execution. Let’s look at how to do this in more detail. I will outline five ways to manage expectations on your projects: planning, execution, communication, under-promising, and personal expectations. Quite often, project stakeholders have a vision for the project and its outcome before any actual planning takes place. If unaddressed, this can lead to conflict between what is promised, how this promise is interpreted, and what is actually delivered. You need to engage stakeholders early and often during the planning phase to develop realistic expectations based on available resources, the capability of your team, and the desired outcomes. Work with your stakeholders to formulate the scope, priorities and goals, identify task dependencies, and decide how to deal with risks. It’s also important to involve your team with project planning. This ensures the team is aligned with project objectives and can help to create a realistic project plan, leading to increased motivation and engagement. Clarity is key during project planning; don’t assume that everyone has the same understanding of the project plan and objectives. Ask lots and lots of questions until you are sure that everyone is working from the same plan! Returning to my earlier example, a lack of clarity from the outset led to many complications with the client. We are all too excited about the project and jumped straight in without a shared vision or clear goals. The next step is to hold separate project kick-off meetings with the team and stakeholders to discuss how the project will be executed and monitored. Schedule and agenda for progress meetings, for example, a weekly team meeting to review progress to-date and upcoming tasks. If possible, use a collaborative project site such as BrightWork to manage and track the project. Establishing a single source of truth with all relevant project documents, processes, and tasks will make it even easier for the team to deliver as expected. When meeting with stakeholders, review all documents and processes; re-confirm scope and timelines; agree on reporting formats, and clarify any other issues. This meeting is also a useful opportunity to highlight stakeholder responsibilities for example, providing timely feedback. Again, this matter was not clarified with the aforementioned client, creating unexpected delays. Communicate, communicate, and communicate some more! Expectations are based on assumptions and preconceptions; constant, effective communication is crucial to reducing their impact. Communication begins with project planning and continues throughout the project. When planning with stakeholders and the team, be honest about what can be achieved and be clear on agreed plans. Be honest about what can be achieved and be clear on agreed plans. There are several ways to achieve this level of clarity, for example, use simple language to avoid confusion, encourage questions, and conclude every meeting with a quick recap. Ideally, record and store meeting minutes in the project site for future reference. Finally, there is the tricky business of bad news. Projects inevitably go off track. Get ahead of the problem with quick, transparent communication and a solution. As eloquently stated by Colin Powell, ‘Bad news isn’t wine. It doesn’t improve with age.’ Don’t risk your project or the trust of your team with delays. It’s easy to get caught up in the excitement of planning a project or to succumb to the pressure of stakeholders and overpromise. Before you know it, ‘we might be able to do that’ becomes ‘we can certainly do that’ and you are struggling with unrealistic expectations. Agree to goals you know are achievable and deliver these to exceptionally high standards before worrying about anything else. Remember, we are very prone to ‘anchoring bias‘, a tendency to make decisions based on the first piece of information we hear. If you have doubts about a request or suggestion, ask for time to check the history of previous projects and consult with your team before agreeing to any deadlines. Don’t make false promises! As I mentioned above, we expect certain behaviours from those around us. 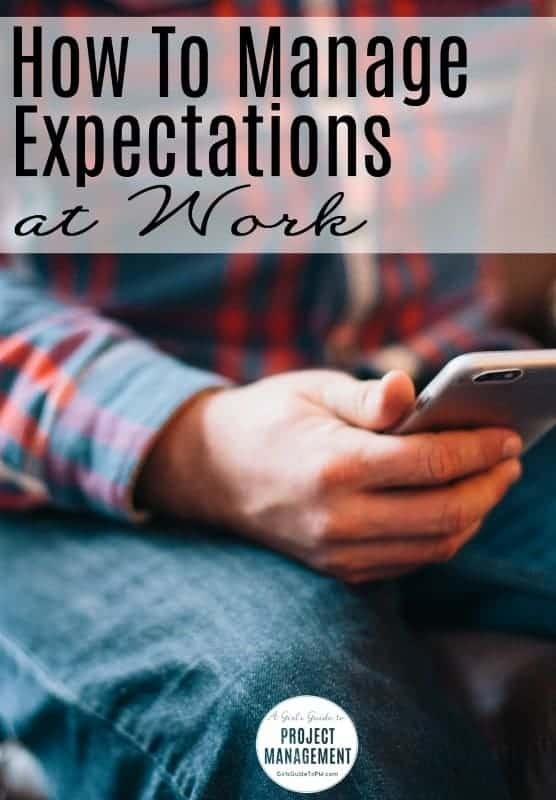 However, as we typically don’t share these expectations, we may be disappointed by the actions of family, friends, and colleagues. As a project manager, you must share your expectations with your team. Be transparent about the standard of deliverables, communication requirements, responsibility for risk management and so on. Let the team know what success looks like and how you will reach this goal together. Be clear about feedback mechanisms and processes for addressing poor performance. Expecting your team to deliver without any direction or guidance is simply unfair and will yield poor results. Current projects: Have meetings with the team and stakeholders to compare progress against the original plan. Is everyone still aligned and satisfied with the direction of the project? If not, take corrective action to get the project back on track. Future projects: Using the steps suggested above, address expectations during project planning and execution. Make it part of your project approach. Expectations are unavoidable and will impact upon projects in various ways. Proactively managing expectations leads to successful projects, satisfied stakeholders, and engaged teams. This involves addressing expectations during project planning and execution, frequent communication, and a focus on realistic goals. 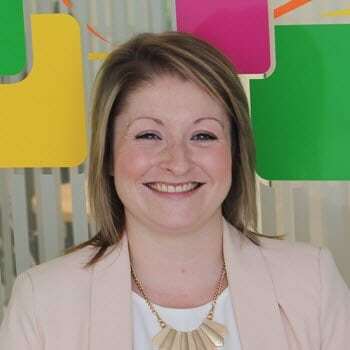 About the author: Grace Windsor is a Content Marketing Specialist at BrightWork. She loves creating actionable content in different formats to help others achieve more project success.